Spheroidal aggregates, aerial and very well defined, of short prismatic Franckeite crystals. The sample is from the José Luis Vallecillo collection in Madrid. 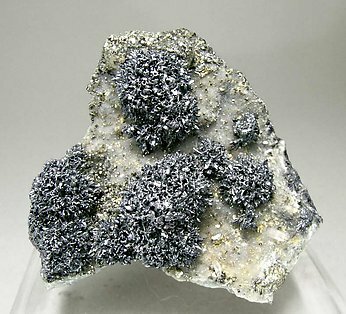 Spherical growths of very well defined and bright small crystals, with Pyrite and on matrix. An excellent sample of this rare species. 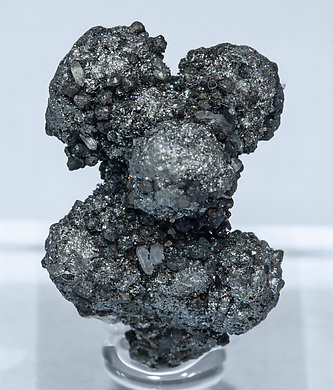 Spheroidal growths of small Franckeite crystals that are metallic dark gray, almost black, and are very well defined and bright. 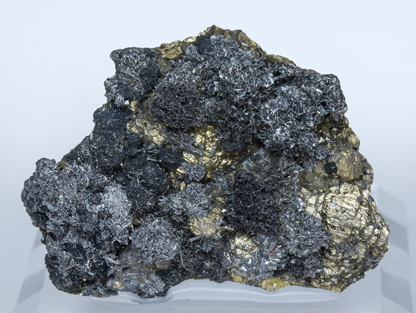 They are on matrix with Pyrite and very well defined Stannite crystals. 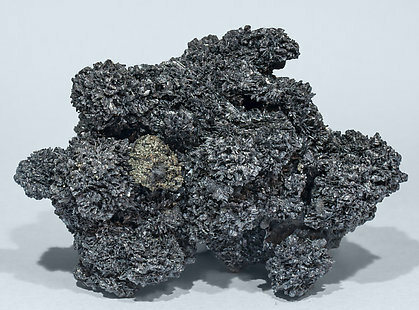 An excellent sample of this rare mineral. The sample was in the Gilbert Gautier collection whose label we will send to the buyer. Radial groups of very sharp and well defined flattened prismatic Franckeite crystals with an implanted dipyramidal Stannite crystal and small acicular Zinkenite crystals. The sample is from the Carles Curto collection whose label and catalog card we will send to the buyer.